Donate to K9s For Warriors! For gifts that are in honor or in memory of a loved one, you will receive a K9s For Warriors card with your thank you letter that you can send to your honoree. If you have any questions or need to make an additional request, please email info@k9sforwarriors.org. If you donate and have not already registered, you will receive periodic updates and communications from K9s For Warriors. Thank you for choosing to support the K9s For Warriors mission! 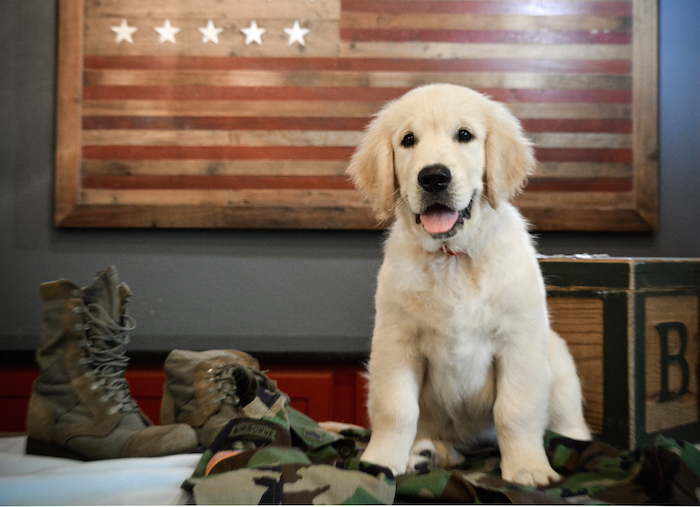 With a monthly gift, you will become a Guard Dog and help protect the future of rescue dogs and our nation’s heroes.